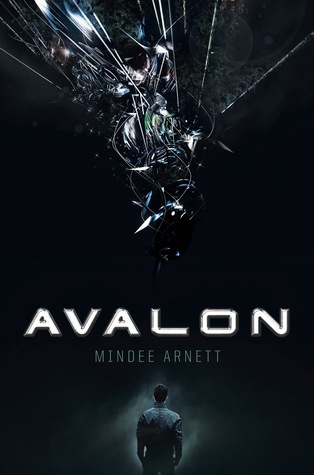 Avalon is the perfect fit for teens new to sci-fi as well as seasoned sci-fi readers looking for more books in the YA space-and a great match for fans of Joss Whedon's cult hit show Firefly. Author Question: What is your favorite thing about Avalon? My favorite part of Avalon is definitely the characters. Jeth, the main character, is the head of a snarky, mischievous group of teenage spaceship thieves. They’re all orphans in one way or another, but together they become a family. They’re a fun ensemble, constantly joking and having a good time. They don’t always get along, but when things go sideways—as they do a lot in the story—they are completely loyal to each other. When two gorgeous, popular witches clash over a man, it’s magical mayhem in this conclusion to the Life’s a Witch trilogy! It’s been a trying year for teen witch Hadley Bishop—she led her coven into battle against the Parrishables and lost her mother in a surprise attack. Now that the Parrishables and their leader, Samuel Parris, have been defeated, Hadley is looking forward to a relaxing, love-filled summer with boyfriend Asher Astley. Hadley’s summer plans take an unexpected turn though when she and her coven head off to a witchy summer intensive. Once there, Hadley immediately finds herself in a power struggle with Brooklyn Sparks. Like Hadley, Brooklyn is gorgeous and popular, but she’s also…Asher’s ex-girlfriend?! As if this news isn’t enough to rattle Hadley, there are rumors of a rogue witch in the woods, and someone is playing dangerous pranks around camp. Hadley suspects that Brooklyn is behind the pranks, but is she willing to risk losing her friends and Asher to prove it? In this electrifying conclusion to the Life’s a Witch series, Hadley will discover that love is more powerful than any spell—but it comes with a price. 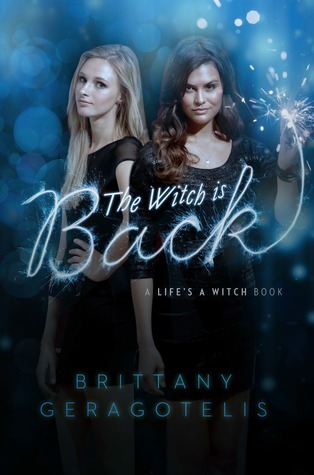 Author Question: What is your favorite thing about The Witch Is Back? 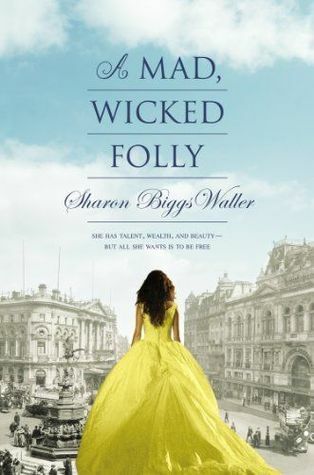 There are so many things I love about THE WITCH IS BACK! To be honest, it was the most fun book to write in the series. The whole thing takes place at a sort of witch camp, which I think is just so much fun! I had such great memories of my own summer camps, so it was fun to put a wicked spin on a time-honored tradition. Plus, there’s sort of a “Hunger Games” style obstacle course the twitches have to compete in AND there’s the legend of the Witch in the Woods which is super creepy. To me, this book has everything, and is just one action-packed scene of witchcraft after another. Along with the super-sassy wit and awesome fashion we’ve come to love and expect from Hadley and her Cleri members, of course! Pick your own YA novel. When Thomas wakes up in the lift, the only thing he can remember is his first name. His memory is blank. But he's not alone. When the lift's doors open, Thomas finds himself surrounded by kids who welcome him to the Glade-a large, open expanse surrounded by stone walls. Just like Thomas, the Gladers don't know why or how they got to the Glade. All they know is that every morning the stone doors to the maze that surrounds them have opened. Every night they've closed tight. And every 30 days a new boy has been delivered in the lift. Thomas was expected. But the next day, a girl is sent up-the first girl to ever arrive in the Glade. And more surprising yet is the message she delivers. 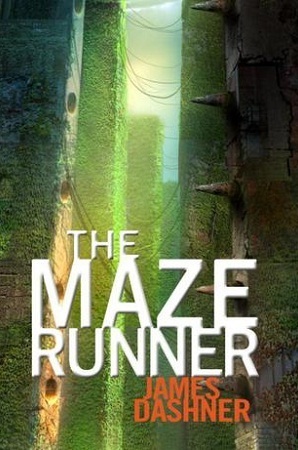 The prequel to the New York Times bestselling Maze Runner series. Mark and Trina were there when it happened, and they survived. But surviving the sun flares was easy compared to what came next. Now a disease of rage and lunacy races across the eastern United States, and there’s something suspicious about its origin. Worse yet, it’s mutating, and all evidence suggests that it will bring humanity to its knees. 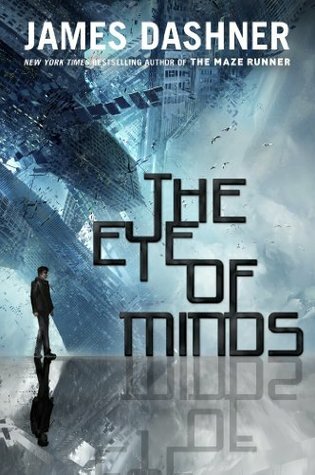 An all-new, edge-of-your seat adventure from James Dashner, the author of the New York Times bestselling Maze Runner series, The Eye of Minds is the first book in The Mortality Doctrine, a series set in a world of hyperadvanced technology, cyberterrorists, and gaming beyond your wildest dreams . . . and your worst nightmares. Michael is a gamer. And like most gamers, he almost spends more time on the VirtNet than in the actual world. The VirtNet offers total mind and body immersion, and it’s addictive. Thanks to technology, anyone with enough money can experience fantasy worlds, risk their life without the chance of death, or just hang around with Virt-friends. And the more hacking skills you have, the more fun. Why bother following the rules when most of them are dumb, anyway? But some rules were made for a reason. Some technology is too dangerous to fool with. And recent reports claim that one gamer is going beyond what any gamer has done before: he’s holding players hostage inside the VirtNet. The effects are horrific—the hostages have all been declared brain-dead. Yet the gamer’s motives are a mystery. The government knows that to catch a hacker, you need a hacker. And they’ve been watching Michael. They want him on their team. But the risk is enormous. If he accepts their challenge, Michael will need to go off the VirtNet grid. There are back alleys and corners in the system human eyes have never seen and predators he can’t even fathom—and there’s the possibility that the line between game and reality will be blurred forever. One shocking afternoon, computers around the globe shut down in a viral catastrophe. At sixteen-year-old Adam Daley’s high school, the problem first seems to be a typical electrical outage, until students discover that cell phones are down, municipal utilities are failing, and a few computer-free cars like Adam’s are the only vehicles that function. Driving home, Adam encounters a storm tide of anger and fear as the region becomes paralyzed. Soon—as resources dwindle, crises mount, and chaos descends—he will see his suburban neighborhood band together for protection. And Adam will understand that having a police captain for a mother and a retired government spy living next door are not just the facts of his life but the keys to his survival. 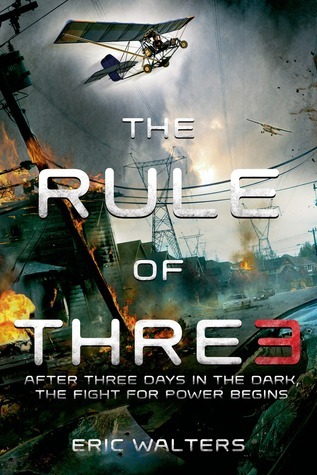 Author Question: What is your favorite thing about The Rule of Three? story I often wandered around the neighborhood the way my character did. big. See you on Google! If RJ Palacio’s Wonder was a young adult novel, it’d be something like The Scar Boys. A severely burned teenager. A guitar. Punk rock. The chords of a rock ’n’ roll road trip in a coming-of-age novel that is a must-read story about finding your place in the world…even if you carry scars inside and out. If RJ Palacio's Wonder was a young adult novel, it'd be something like The Scar Boys. In attempting to describe himself in his college application essay-help us to become acquainted with you beyond your courses, grades, and test scores-Harbinger (Harry) Jones goes way beyond the 250-word limit and gives a full account of his life. The first defining moment: the day the neighborhood goons tied him to a tree during a lightning storm when he was 8 years old, and the tree was struck and caught fire. Harry was badly burned and has had to live with the physical and emotional scars, reactions from strangers, bullying, and loneliness that instantly became his everyday reality. The second defining moment: the day in 8th grade when the handsome, charismatic Johnny rescued him from the bullies and then made the startling suggestion that they start a band together. Harry discovered that playing music transported him out of his nightmare of a world, and he finally had something that compelled people to look beyond his physical appearance. Harry's description of his life in his essay is both humorous and heart-wrenching. He had a steeper road to climb than the average kid, but he ends up learning something about personal power, friendship, first love, and how to fit in the world. While he's looking back at the moments that have shaped his life, most of this story takes place while Harry is in high school and the summer after he graduates. Author Question: What is your favorite thing about The Scar Boys? That’s a big question. It’s a complicated question. It’s an almost-impossible-to-answer question. 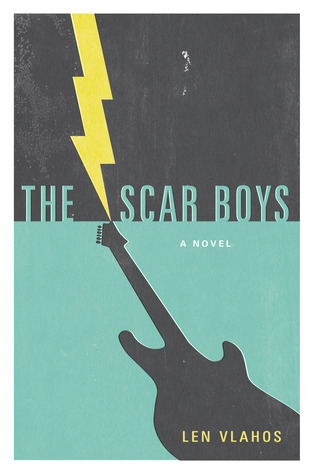 I’m proud of a lot—Harry’s voice, Johnny’s complexity, the role music plays—but my favorite thing about The Scar Boys is that I finished it. I’ve written my whole life—short stories, essays, even screenplays—but a novel had eluded me. Finishing The Scar Boys, and not only finishing it but being proud of the result, is one of the greatest accomplishments of my life. That it’s being published is gravy. Corny? Maybe. True? Yes. My name isn’t really Nick Pearson. I shouldn’t tell you where I’m from or why my family moved to Stepton, Virginia. I shouldn’t tell you who I really am, or my hair, eye, and skin color. And I definitely shouldn’t tell you about my friend Eli Cruz and the major conspiracy he was about to uncover when he died—right after I moved to town. About how I had to choose between solving his murder with his hot sister, Reya, and “staying low-key” like the Program has taught me. About how moving to Stepon changed my life forever. 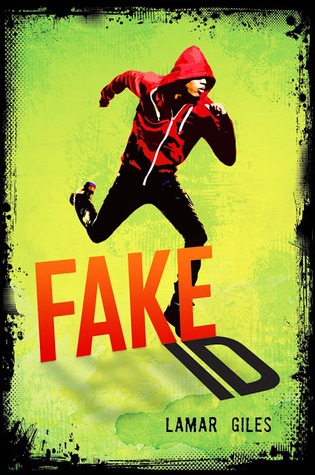 Author Question: What is your favorite thing about FAKE ID? My favorite thing about FAKE ID are the two leads, Nick and Reya. An African-American boy and a Latina girl teaming up to solve a mystery. They appeal to me so much because they are like the people I grew up with. They represent a world I'm used to seeing (multi-colored/cultural) in real life, but have rarely seen in the pages of books (or on TV and movie screens) throughout the years. There's a certain homogeny in YA fiction (or maybe just fiction) that tends to exclude people who aren't the default, widely accepted protagonist. Growing up among the excluded, and wondering quite frequently and painfully why only certain people--those who looked nothing like me--could be heroes in the tales I loved, well, it sucked. So, I'm super excited to present characters who don't fit the mold. If somewhere there's a kid who picks up my book, and breathes easy because he or she gets to read a story about people who seem a little more familiar than what they're used to in other books, then my dreams have come true. And further, should I have children one day, and they get to read books that are more diverse and inclusive than what has been the norm, I can proudly say I (with some help from Nick and Reya) did my part to change the status quo, so they wouldn't know the pain of exclusivity I felt growing up. Now that Nikki has rescued Jack, all she wants is to be with him and graduate high school. But Cole tricked Nikki into feeding off him, and she’s begun the process of turning into an Everliving herself... which means she must feed on a Forfeit soon — or die. Terrified for her survival, Nikki and Jack begin a desperate attempt to reverse the process using any means possible. Even Cole, who they expected to fight them at every turn, has become an unlikely ally — but how long can it last? Nikki needs to feed on Cole to survive, Cole needs Nikki to gain the throne in the Everneath, Jack needs Nikki because she is everything to him — and together, they must travel back to the Underworld to undo Nikki’s fate and make her mortal once more. But Cole isn’t the only one with plans for Nikki: the Queen has not forgotten Nikki’s treachery, and she wants her destroyed for good. Will Nikki be forced to spend eternity in the Underworld, or does she have what it takes to bring down the Everneath once and for all? 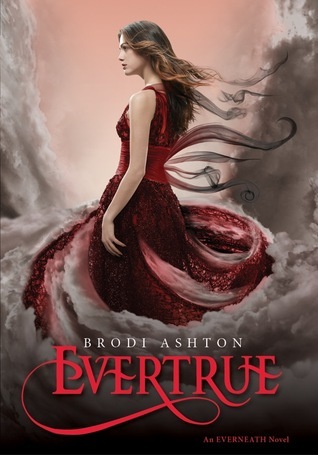 In this stunning conclusion to the Everneath trilogy, Brodi Ashton evokes the resiliency of the human spirit and the indomitable power of true love. Paul has always known he was a Protector, fated to serve a Speaker who could hear the voices of spirits lingering after death and help those souls find peace. Vivienne ignores the voices of the dead. Paul has always followed the Protector’s rule book, preparing diligently for the day when he’d be matched with his Speaker and fulfill his destiny. Vivienne never does what she’s told. So when Paul is matched with Vivienne, they both find the pairing less than satisfactory. But a kidnapping, a malevolent spirit and power stronger than both of them may just prove that they are two halves of the same whole. In a stunning story about the beauty of fate and the power of secrets, Mary Lindsey returns to the world of Shattered Souls with a breathtaking thrill-ride of a novel. **Note from author: This book begins one month after Shattered Souls leaves off. Lenzi and Alden are featured in this book, but reading Shattered Souls is not a prerequisite. A fearless debut novel about the restorative power of truth and love after the trauma of abuse. As sixteen-year-old Aidan Donovan’s fractured family disintegrates around him, he searches for solace in a few bumps of Adderall, his father’s wet bar, and the attentions of his local priest, Father Greg—the only adult who actually listens to him. When Christmas hits, Aidan’s world collapses in a crisis of trust when he recognizes the darkness of Father Greg’s affections. He turns to a crew of new friends to help make sense of his life: Josie, the girl he just might love; Sophie, who’s a little wild; and Mark, the charismatic swim team captain whose own secret agonies converge with Aidan’s. The Gospel of Winter maps the ways love can be used as a weapon against the innocent—but can also, in the right hands, restore hope and even faith. 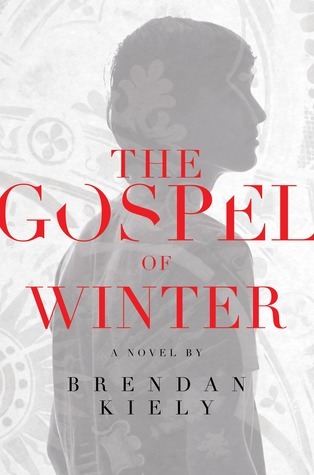 Brendan Kiely’s unflinching and courageous debut novel exposes the damage from the secrets we keep and proves that in truth, there is power. And real love. I love your giveaways! So many titles to read! But please tell me. Are the giveaways international too? The first witch book was awesome!! Adding another Mindee Arnett book to my list! Sounds great. Thank you. Love these giveaways! Gives me so many books to add to my TBR pile! I'm so excited for Mindee's new book! It sounds awesome. I actually still have yet to read the Nightmare Affair, but it's on my list! It never ceases to amaze me how many new books in this category come out each week. Thanks for telling me about them. So many awesome books to read. Thanks for the awesome giveaway. thank you so much for doing these. can't wait to read ALL the books. So, so many books!! Thanks for these. I'd so love to win Mindee's book. Lots of other great books coming out too. Thanks for the giveaway. Avalon has been in my TBR pile for awhile. Avalon sounds so good!! I so cannot wait to read this one!! Thank you so much for having such a generous giveaway!! Was I suppose to let you know what book I wanted for the "pick your own" portion? I wasn't sure since I cannot remember if I told you a book I wanted as an entry since I've not received an email about it. I am super excited! Thanks so much. Hope you will enjoy them! Perfect! Thanks so much! I am super excited to receive both. I lent my copy of the Maze Runner out and never got it back so I never got to read it. I love seeing the list of so many books coming out--very handy to see them all gathered together like that. Looks like I have loads more to add to my TBR list. Thanks for the giveaway! Ah! I didn't know that a companion novel to Shattered Souls by Mary Lindsey was coming out! 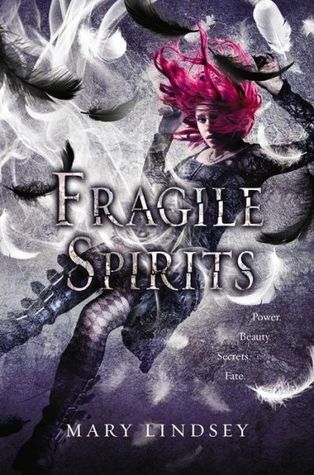 I adored Shattered Souls, so now I must get my hands on Fragile Spirits. Too many books are coming out this week. I would love to read this both of the books seem amazing from the synopsis. Thanks for the giveaway. I've been waiting forever for Avalon! Question of the Week: What is Your Comfort Book?